Ben's old ID card stamped by Gene Autry. 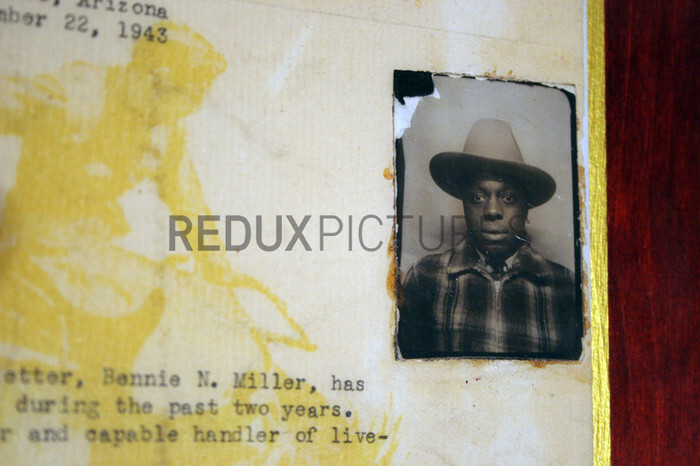 Ben Miller is the oldest member (born in 1912) of Federation of Black Cowboys in New York City. He is a former champion bull rider.